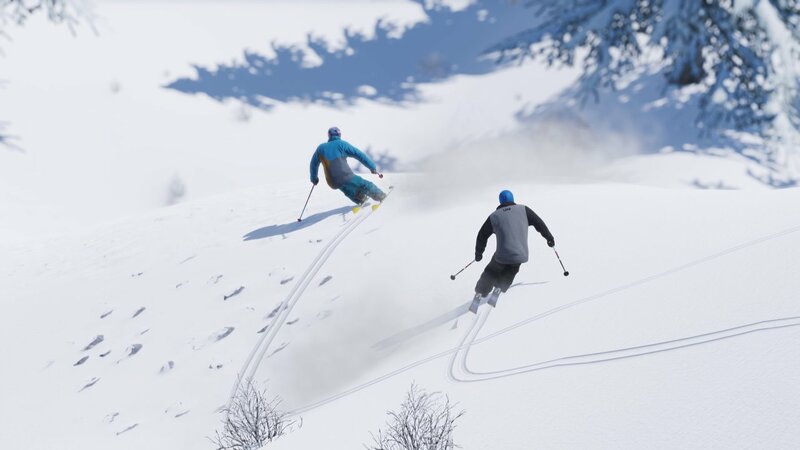 What Game Should Skiers be Playing? What do skiers do when it comes to the summer and they can't ski anymore, the snow is starting to melt and it is rapidly becoming summer. Some of us like to go to glaciers whereas some like to watch video and play games to fill the gap in their life where skiing was. Over the years, on the playstation, Xbox and PC there have been numerous games, majoritively being snowboarding games. My first real encounter of a skiing game where i felt i could express a certain freestyle attitude and big mountain background was SSX on tour, for the first time in their game lineup they had brought in skis, and it worked really well. It was enjoyable, different and provided hope for the future of video games. The years went on and still no realistic ski game, Shredsauce which was a freestyle orientated game, this was great because players could make parks and ride pre existing ones, you could now start to ride features which felt realistic and do real life tricks. This game had many issues though, its graphics were not great and at points where not very realistic. In more recent years there have been a number of games that have opened themselves onto the market. Snow and Steep. Steep: Steep is new game which was released in late 2016 and is an all sport game consisting of wing-suiting, Paragliding, skiing and snowboarding. It is made by Ubisoft Annecy and interestingly is set in the Alps. you can visit mountains of smaller resorts as well as more known mountains for example Mont Blanc. This is great for those who love a realistic game; but is it realistic? Yes it may be based somewhere real but nothing about the location is realistic, the villages are nothing like what they are in real life and the parks aren't either; is this an issue? For some not but for me this effects how much I like a game. Being able to do something real in a place where it feels realistic is key. As well as this the tricks that can be preformed aren't great with it being hard to choose and replicate a certain trick. Snow or Steep? Personally I go Snow, I know many people don't know about snow but you should look into it, Steep had the marketing over Steep so many who don't even like skiing know about it. Snow is realistic, fun, big and different. You can Ski, Snowboard, snowmobile and operate a drone. This is what I believe is the best game.